WASHINGTON — The late Gordon Hirabayashi was among 13 recipients of the Presidential Medal of Freedom named by President Barack Obama on Thursday. The Medal of Freedom is the nation’s highest civilian honor, presented to individuals who have made especially meritorious contributions to the security or national interests of the United States, to world peace, or to cultural or other significant public or private endeavors. The awards will be presented at the White House in late spring. 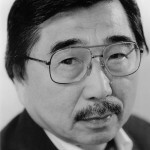 Hirabayashi openly defied the forced relocation and internment of Japanese Americans during World War II. As an undergraduate at the University of Washington, he refused the order to report for removal to an internment camp, instead turning himself in to the FBI to assert his belief that these practices were racially discriminatory. Consequently, he was convicted by a U.S. Federal District Court in Seattle of defying the exclusion order and violating curfew. Hirabayashi appealed his conviction all the way to the U.S. Supreme Court, which ruled against him in 1943. Following World War II and his time in prison, he obtained his doctoral degree in sociology and became a professor at the University of Alberta in Canada. In 1983, his case was reopened along with those of Fred Korematsu and Minoru Yasui, who had also challenged the constitutionality of the government’s treatment of Japanese Americans. In 1987, Hirabayashi’s conviction was overturned by the U.S. Court of Appeals for the Ninth Circuit. Hirabayashi died on Jan. 2 at the age of 93. His son, Jay Hirabayashi, founder and director of the Vancouver International Dance Festival, commented, “Really pleased that my dad (and Bob Dylan) was given the Presidential Medal of Freedom today by President Obama … It’s been 70 years since he was first arrested for standing up for his rights as an American citizen and 25 years since the U.S. government finally decided to stop trying to prosecute him after his U.S. Court of Appeals victory in 1987. Korematsu received the Presidential Medal of Freedom from President Bill Clinton in 1998. Madeleine Albright, U.S. secretary of state in the Clinton administration and the first woman to hold that position. She was previously the U.S. representative to the United Nations. John Doar, former assistant attorney general in charge of the Civil Rights Division at the Department of Justice, who led federal efforts to protect and enforce civil rights. Bob Dylan, one of the most influential American musicians of the 20th century, who released his first album in 1962 and has won 11 Grammys, including a lifetime achievement award. William Foege, former director of the Centers for Disease Control and Prevention, who helped lead the successful campaign to eradicate smallpox in the 1970s. John Glenn, former Marine Corps pilot, astronaut, and U.S. Senator. In 1962, he was the third American in space and the first American to orbit the Earth. He is a recipient of the Congressional Gold Medal and the Congressional Space Medal of Honor. Dolores Huerta, a civil rights, workers’, and women’s advocate who co-founded the National Farmworkers Association (later renamed the United Farm Workers of America) with Cesar Chavez in 1962. Jan Karski, who served as an officer in the Polish Underground during World War II and carried among the first eyewitness accounts of the Holocaust to the world. He became a U.S. citizen in 1954 and died in 2000. Toni Morrison, one of the nation’s most celebrated novelists, who won a Pulitzer Prize in 1988 for “Beloved” and became the first African American woman to win a Nobel Prize in 1993. Shimon Peres, who was elected the ninth president of Israel in 2007. Along with Israeli Prime Minister Yitzhak Rabin and then-PLO Chairman Yasser Arafat, Peres won the 1994 Nobel Peace Prize for his work as foreign minister during the Middle East peace talks that led to the Oslo Accords. John Paul Stevens, who served as an associate justice of the U.S. Supreme Court from 1975 to 2010 and retired as the third-longest-serving justice in the court’s history. .
Pat Summitt, who had an outstanding career as the all-time winningest leader among all NCAA basketball coaches, taking the University of Tennessee to more Final Four appearances than any other coach.